DAVID LE/Staff photo. 4/1/15. 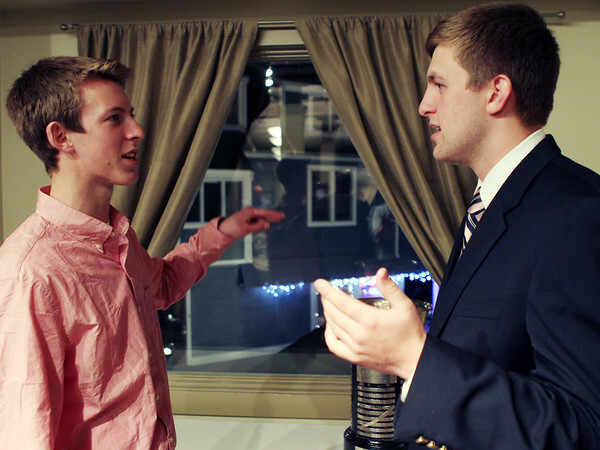 Manchester-Essex Regional High School Student Athlete Nominee Cameron Holley, left, chats with 2015 Salem News Student-Athlete award winner Spencer Craig, of Marblehead High School, after the banquet on Wednesday evening.